Why Are Our Bags For You? 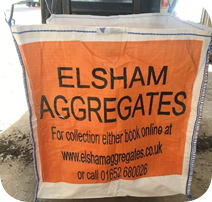 "We offer a cost effective and convenient rubbish removal solution for your home and garden waste"
Either order online or by phone and we can deliver to your home the next working day. Take your time to fill it, our bags are flat packed for easy storage and ready to fill whenever you want. When your ready for us to take it away either book online or give our friendly team a call. We aim to collect your bags within 3 days after booking.